After finishing the first movie, Takashi Miike did not hesitate to throw Bodyguard Kiba into a second round of high kicks and low-level storytelling. This time the plot takes some turns and churns up a narrative of vengeance. Kiba has to protect Natsuki, who has some business in Taipei. Little does he know that he walks right into a trap. Aiming to overtake Kiba’s Daito Karate school, a Chinese Karate teacher named Mr. Wong is pulling the strings behind the scenes. As the story discloses, “Bodyguard Kiba 2: Apocalypse of Carnage” focuses much more on the rivalry of the different Dojos. Miike fills the backstory holes that gapped open after the first part and we get to know about Kiba’s past and the origin of his Karate school. Nevertheless, the script, written again by Hisao Maki, includes varies continuity flaws and does not even bother to include the evil antagonist in the final “boss” fight. The faith of Mr. Wong is left to the viewer’s imagination. In defence of Maki, the movie stretches out over a runtime of only 60 minutes, which makes it almost impossible for any scriptwriter to fill in every information about the various characters and their motives. In favor of the audience, the shortness of “Bodyguard Kiba 2: Apocalypse of Carnage” gives it a certain vibe, which allows us to disregard the trashy random fight scenes and the plot holes. Once you let yourself sink into this mode, you will find the movie kind of enjoyable. Yasushi Shimamura, who did the editing for numerous Miike flicks (“Izo”, “Blues Harp”, “Visitor Q” etc. ), creates a nice atmosphere by putting together marvelous location shots. Therefore “Bodyguard Kiba 2: Apocalypse of Carnage” mainly subsists from its settings. Since Takashi Miike took a roundtrip around south-east Asia to shoot the movie, we get to see sequences not only from Japan but from Taiwan and Manila as well. As in part one, the characters are representing a variety of Asian ethnics, speaking in their mother tongue. English, Japanese and Chinese are only a fraction of the languages, which are spoken. Kiba is played again by Takeshi Yamato. His performance is certainly not award-winning, but as a former boxer, he contributes well to the fight scenes. Other roles are played by the former “Power Ranger” actress Megumi Sakita, and Takanori Higuchi, who is known from Sabu’s “Dangan Runner”. The film is coronated by a fight sequence, which takes place in the ancient Jinguashi Ruins in Taipei. Kiba is outnumbered and the postapocalyptic setting is adding up a nice morbid touch to the scene. Here Yamato is able to show off all of his Martial Arts skills and makes up for all the other bad fights, that we have seen so far in the course of the movie. 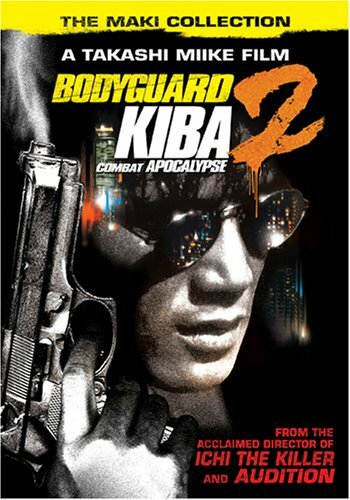 All in all “Bodyguard Kiba 2: Apocalypse of Carnage” is a light version of the first part of the series. It compresses the story to the bare necessities, but is also able to present some nice cinematography, which is even better than in “Bodyguard Kiba 1”. 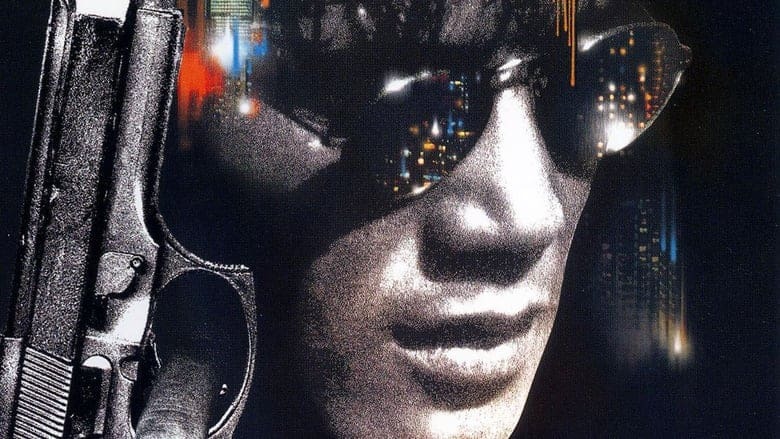 By telling the story of Kiba’s dojo, Miike continues his tribute to classic Hong Kong Martial Arts cinema. If one blinds out the weak spots of the script and consider every sequence as an own entity, one will find a solid piece of art, that has to be viewed by its own standards to be appreciated. Like every part of the franchise, “Bodyguard Kiba 2: Apocalypse of Carnage” went straight to VHS and had a manageable success. But this did not prevent Miike to produce a third, and final, sequel called “Bodyguard Kiba: Apocalypse of Carnage 2” in 1995.